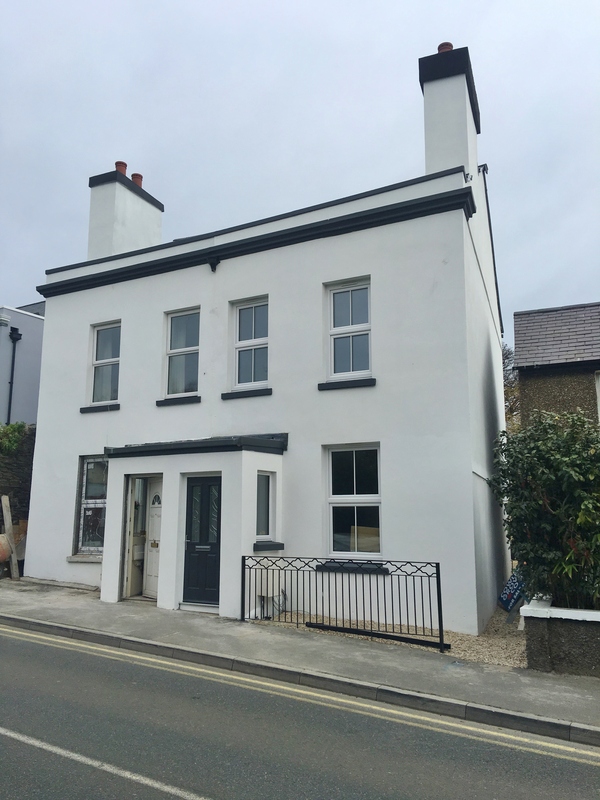 A rare opportunity to acquire a period semi-detached town house which has been totally transformed, renovated and modernised with part remodelled and extended accommodation finished with high quality contemporary style fixtures and fittings. High performance electric heating has been installed which operates through aluminium radiators connected to a low cost "comfy tariff" married with high levels of thermal insulation. In addition new uPVC triple glazed windows have been installed along with a uPVC double glazed front door and uPVC triple glazed double doors which give access to the rear garden. New internal doors have been fitted with chrome handles along with new fitted carpets and floor coverings. The radiators for the heating and the hot water system can be individually controlled as they are Wi-Fi enabled and there are also Wi-Fi extender points. A central TV hub is located beneath the stairs which means no need for individual Sky boxes and all rooms are wired for mutli-room TV signals. Finally there is a Puck fire suppression system to the ground floor. The accommodation briefly comprises: built-out entrance porch, 27' lounge/diner with a feature stone fireplace and chimney breast, 14' extended dining kitchen with contemporary style fitted units and integrated appliances, ground floor cloakroom, 3 bedrooms of which 2 are good size doubles the master of which is located on the 2nd floor and has the advantage of an en-suite bathroom. The family shower room is located to the 1st floor. A viewing is essential in order to appreciate this superb, totally transformed property which is undoubtedly one of the best on the market at present and is ready to move into. Early vacant possession is offered and there is no onward chain. The price is to include new fitted carpets and floor coverings. At the front of the property is a small fenced forecourt and a pathway at the right hand side leads to the rear. There is a long rear garden predominantly laid to lawn but with a shingled patio area adjacent to the rear of the property. Lollipop topped fencing provides a secure boundary. From the traffic lights in Parliament Square proceed northwards out of town across the 2 mini roundabouts and the Stone Bridge onto Bowring Road. Proceed up the hill where this property will be clearly seen on the right hand side just before the 2nd right hand turn into Coburg Road. It is in a convenient position within an easy walk of all town amenities and the respected school campus. Built-out Porch New uPVC double glazed front door. New consumer unit. uPVC triple glazed window. Lounge/Diner (27'10" x 12'6" max.) 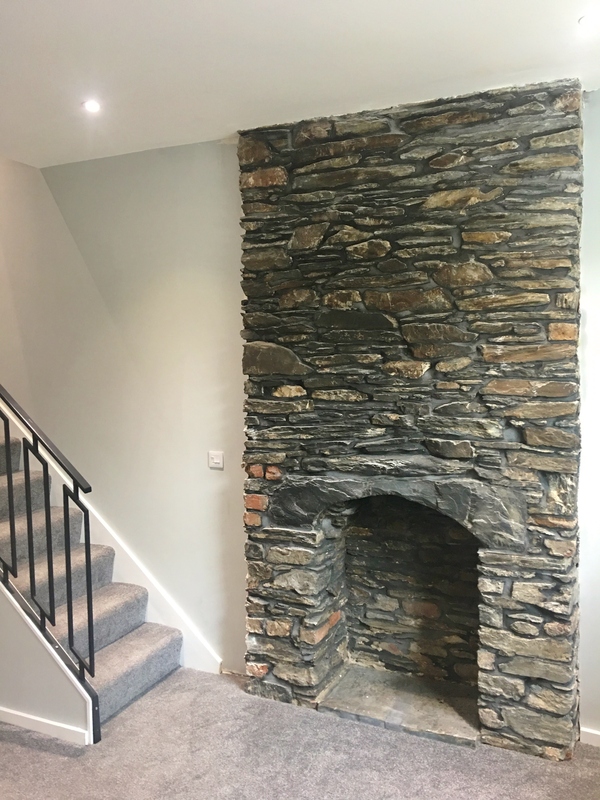 Feature exposed stone fireplace and chimney breast. 13 LED downlighters. uPVC triple glazed window. Understairs cupboard housing the TV and data box. 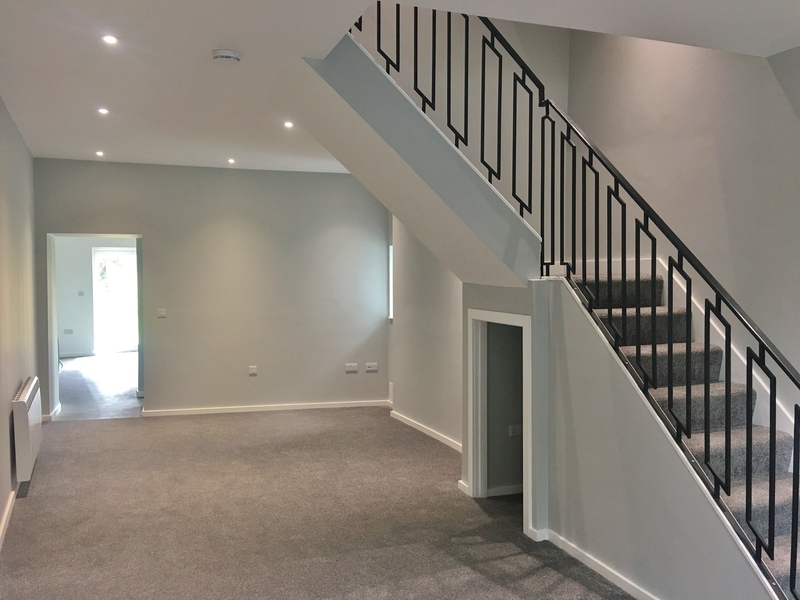 A staircase with decorative black finish steel banisters leads to the 1st floor. Extended Dining Kitchen (14'9" x 11'3" approx.) 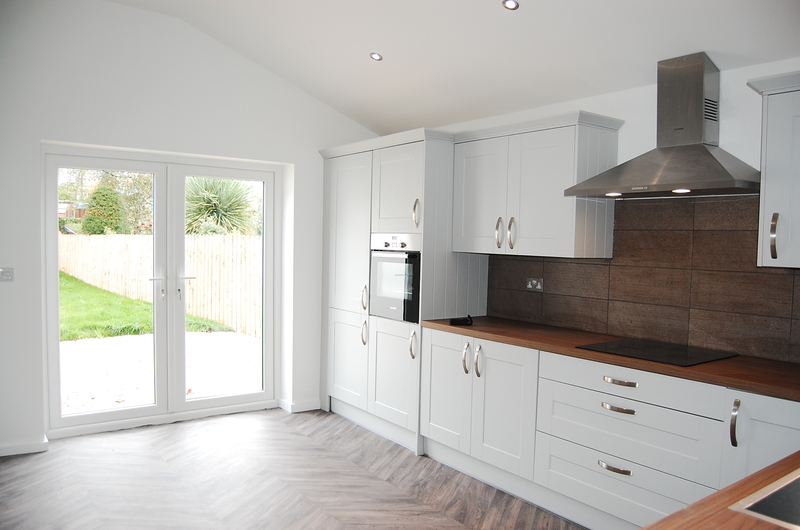 Fully re-fitted with light grey matching base units, pan drawer unit and wall cupboards all with a soft close function. Fitted woodgrain effect laminated worktops incorporating an inset Cople stainless steel sink complete with a chrome high-neck mixer tap. Textured finish tiled splashbacks. Integrated appliances comprise: Bosch electric eye-level oven, touch-control induction hob with a wide stainless steel filter canopy above, Bosch fridge freezer and an AEG Lavamat washing machine. 6 LED downlighters. uPVC triple glazed double doors give access to the rear garden. 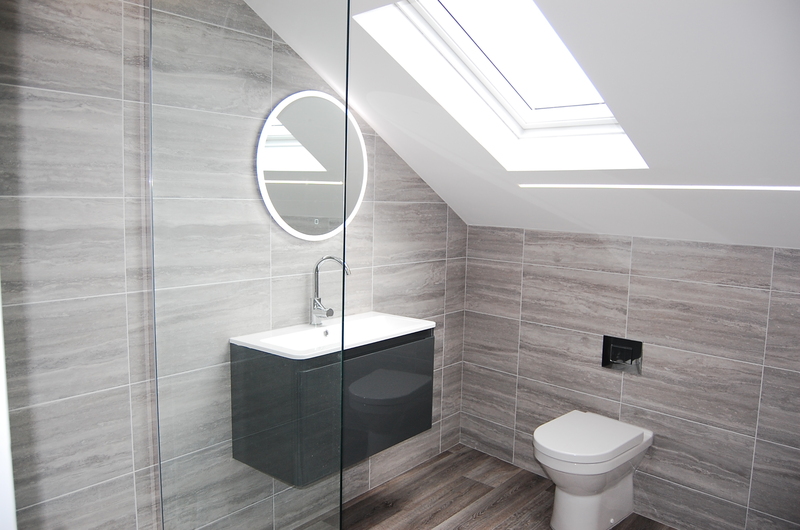 Cloakroom Fitted with a stylish white suite comprising rectangular wash hand basin with a chrome mixer tap and a WC with a concealed flush box. Chrome finished multi rail towel warmer. Extractor fan. 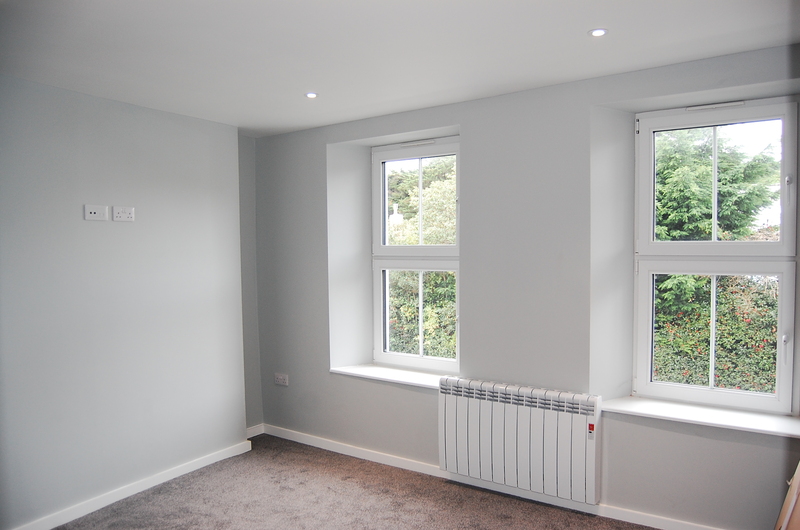 Bedroom 2 (10'9" x 12'2" ave.) 2 uPVC triple glazed windows. 4 LED downlighters. Television/telephone/data points. Bedroom 3 (10'6" x 7'0" approx.) 4 LED downlighters. Television and telephone connections. Family Shower Room Polished fully tiled walls. Fitted glazed walk-in shower enclosure with a chrome fully plumbed shower complete with a hand shower and rainwater drench head. White cantilevered wash hand basin with a chrome mixer tap with an illuminated mirror above. WC with a concealed flush box. Wipe clean ceiling with twin LED light strips. 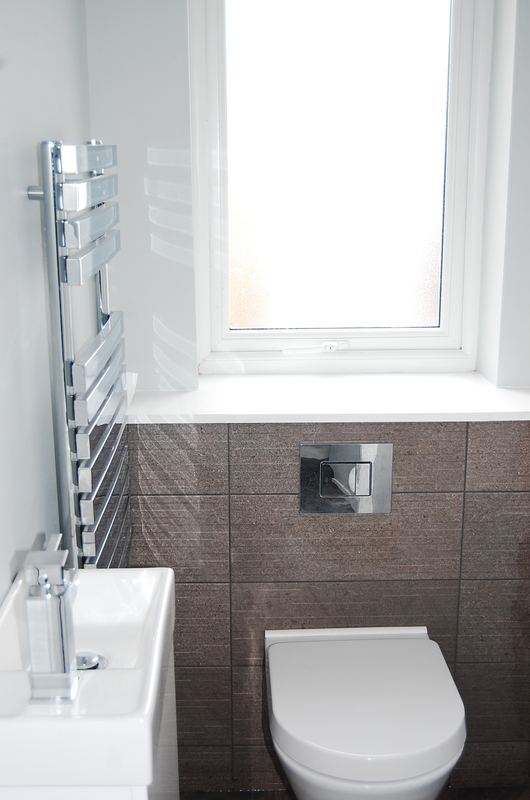 Chrome finished multi-rail towel warmer. Extractor fan. Landing Built-in cupboard housing a pressurised hot water tank which is enabled for wi-fi controlling. Data point for a Wi-Fi extender. Bedroom 1 (18'4" x 13'12 approx.) 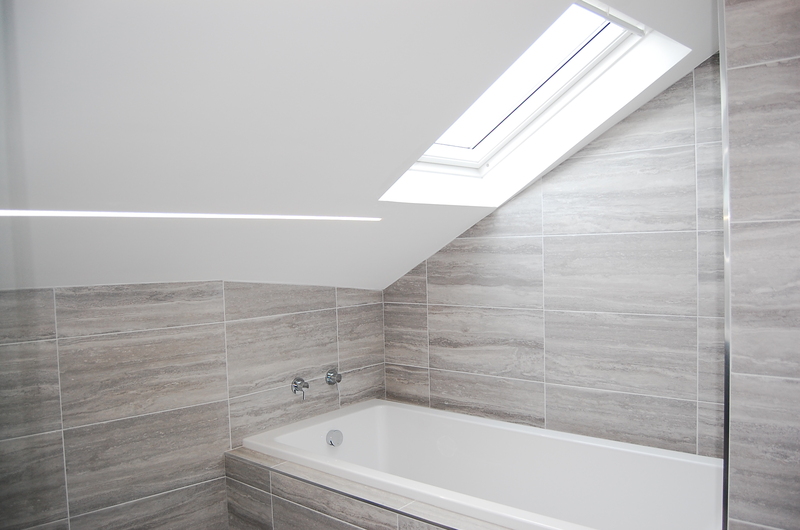 2 Velux double glazed roof windows. 3 LED light strips. 2 aluminium radiators. 5amp lighting socket. Television/telephone/data points. Dressing area. En Suite Bathroom (8'6" x 10'0" max.) Fully tiled walls. 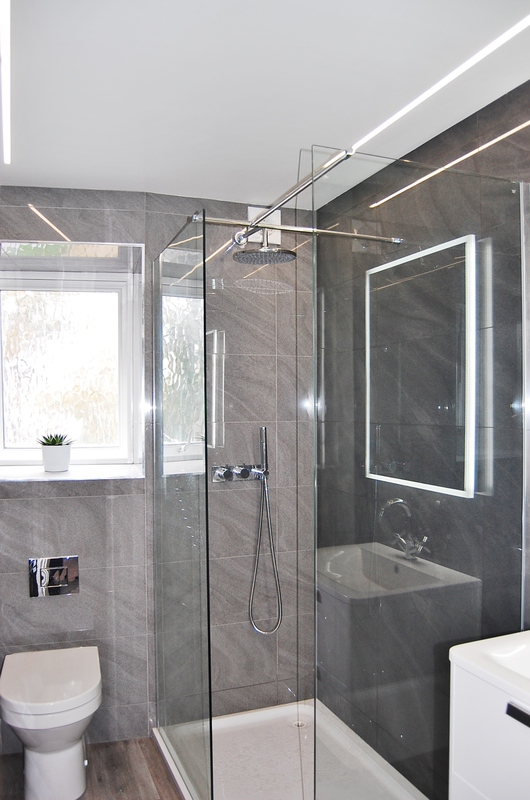 Again a contemporary style suite comprising glazed shower cubicle with a chrome fully plumbed shower again with both adjustable and rainwater drench heads. Large bath and a cantilevered vanity wash hand basin with a chrome mixer tap. WC with a concealed flush box. 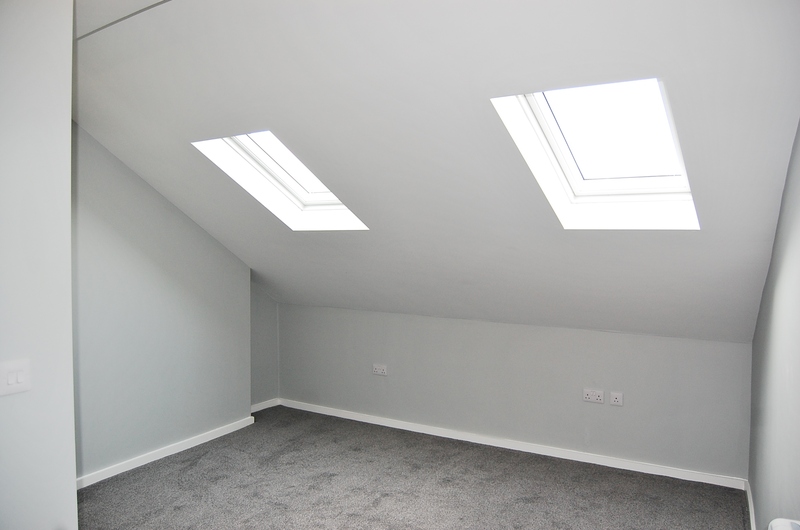 2 Velux double glazed roof windows. Illuminated round mirror. 2 LED light strips. Extractor fan. All mains services are connected with the exception of gas. Economic electric heating through aluminium radiators connected to a low cost "comfy tariff". New uPVC triple glazed windows and rear patio doors. Television, satellite, telephone and data connections throughout including wi-fi extender points. Central TV hub and wiring for multi-room TV signals (no individual Sky boxes required). Excellent levels of insulation to all internal floors and wall etc. Puck fire suppression system to the ground floor. EARLY VACANT POSSESSION ON COMPLETION BY ARRANGEMENT – NO FORWARD CHAIN.